Willie Miller Urban Design is a design practice based in the West End of Glasgow. WMUD has worked throughout the United Kingdom and Northern Ireland, the Channel Islands, the Republic of Ireland and the United States (with partner practice Studio Cascade). Have a look at our project locations. 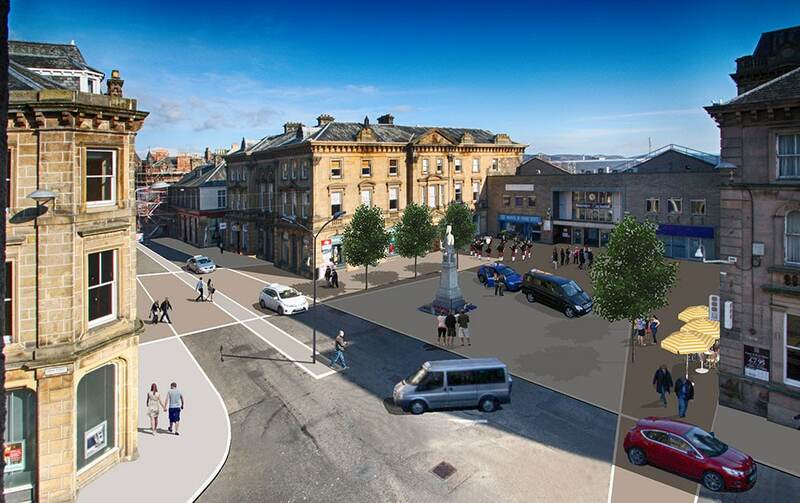 The practice maintains a core of strategic urbanism work through recent projects including a new town centre and riverfront strategy for Dumbarton, a concept design study for Leven town centre in Fife and physical proposals for the town centre of Strathaven. WMUD promotes a collaborative, contextual and research-based approach to urban and strategic design – working across disciplines, in liaison with local communities, businesses and organisational stakeholders, and respecting local context and heritage. The practice is situated in the heart of Glasgow’s West End close to Hillhead Subway Station. If you have any questions about the practice, fill in the contact form. You can browse through the current practice profile below or download it. It covers most of our work over the past 17 years.